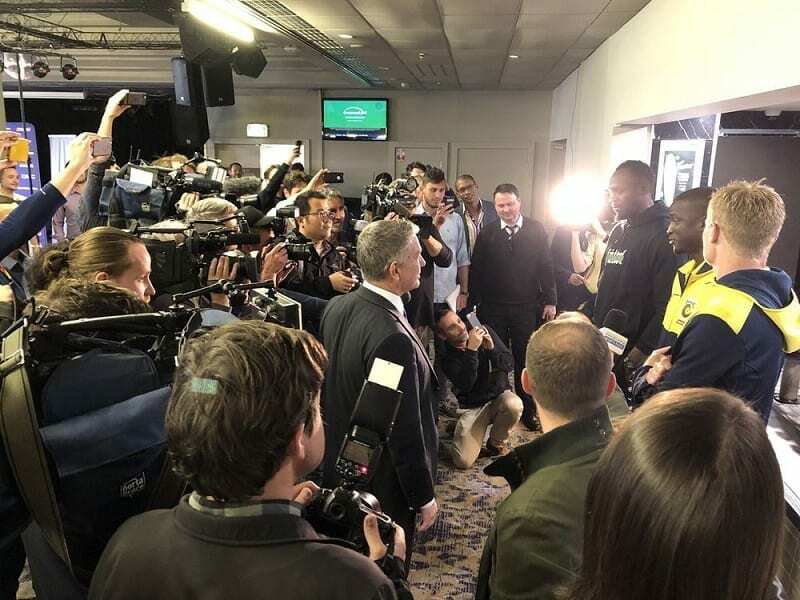 A huge media scrum confronted Usain Bolt after his first ever training session with A-League team the Central Coast Mariners. The Usain Bolt-era in the A-League has officially begun after the 100m world record holder took to the field for his first training session with his potential new Central Coast Mariner teammates on Tuesday. The 32-year-old mooted a move to the A-League earlier in the month but the wheels are now in motion for what could be the highest profile code switch in sporting history. 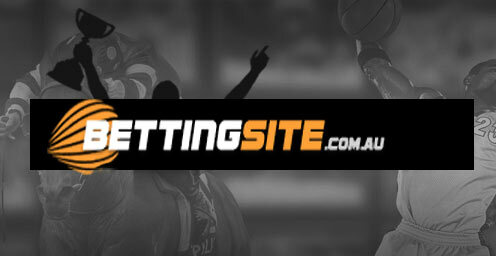 Those looking to wager on the Bolt can rejoice because online bookmaker Sportsbet has joined the party. Account holders can get a return of $2 for Bolt to play in the Mariners in their season opener against the Brisbane Roar on October 21. For those looking to play the long game, surprisingly low odds of $6 are up for Bolt to score at anytime during his A-League tenure, while an ill-disciplined red card is at the $12 mark. The training session was a routine one for the Mariners, but the fanfare was at fever pitch for the Olympic gold medallist. Bolt slowly went through his paces in Gosford and was understandably tentative and nervous when over the ball. Reports from the session suggested that Bolt showed glimpses of good control, but he often allowed the ball to come to him rather than come forward to gather possession. Bolt said his tilt towards an unlikely A-League berth is an ongoing process. “It’s just like track and field — the first day of training is always the toughest one. But it felt OK, you know,” Bolt said at a press conference afterwards. Despite the optimism from Bolt in the aftermath of his first ever session, not everyone was glowing of the 32-year-old’s prospects. Fox Sports Australia’s Adam Peacock said Bolt has a long way to go. “He’s all left. He doesn’t want to know about kicking with his right at the moment,” Peacock told Fox Sports News. The commentator did stress however that it is unfair to judge him on one session. The challenge now lies in front of Bolt to prove he is worthy of a place on the Mariners’ squad. There is exactly two months until the Central Coast kick off their season against The Brisbane Roar on October 21. Bolt said he always harboured ambitions of playing soccer once his running career had ended.